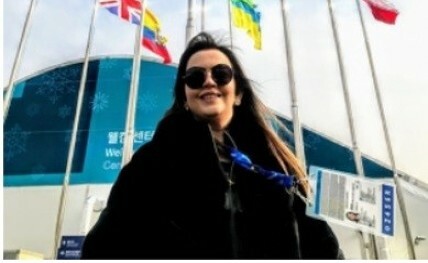 PyeongChang (South Korea), Feb 11: International Olympic Committee (IOC) member Nita Ambani on Sunday met Shiva Keshavan and Jagdish Singh, who are representing India at the ongoing Winter Olympics here. Ambani, who became India's representative at the IOC after Randhir Singh stepped down from the post, conveyed her best wishes to the two-member Indian contingent. Shiva, who carried the Indian flag during the opening ceremony, has qualified for the Luge Men's Singles event for the sixth consecutive time. Jagdish meanwhile, is competing in the Cross Country Skiing event. "Both Shiva and Jagdish and the sports they play are not so well-known in India yet, but the enhanced live coverage of the Games may change all that," Ambani said in a statement.